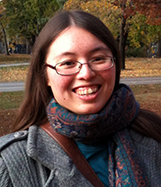 Christine Ambrose M.A.—a freelance writer, editor, and instructional designer—is also known as Dylan’s mom. Dylan (who has autism spectrum disorder) is the inspiration for the Spec Tales book series. Ms. Ambrose also shares her home with her husband David (a volunteer coach for both Special Olympics and Challenger Baseball) and—when he’s not living away at college—their son Tyler. The other member of their household, their black Labrador Oscar Spec, is the inspiration for the book series character Spec. 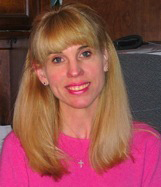 Christine’s noteworthy editing and writing projects include curriculum development for The American Red Cross Babysitter’s Training course, lesson plan manuals and electronic supplements for medical assisting and pharmaceutical textbooks (Elsevier Science), substantive editing and production of key trade titles for the Rowman and Littlefield Publishing Group, as well as numerous editing projects for Paul H. Brookes Publishing Co. Christine is also a former adjunct faculty member for the English Department of Anne Arundel Community College and a former board member of the Anne Arundel County Chapter of the Autism Society of America. Brenda Insalaco M.A. CCC-SLP, has worked with children with speech and language disorders for over 30 years. She has a wide variety of experience evaluating and providing speech and language therapy to children with delayed onset of language, oral motor difficulties, and deficits in social language. Brenda graduated from Michigan State University with a Masters degree in speech pathology. She completed post-graduate work at Johns Hopkins University and Loyola College. 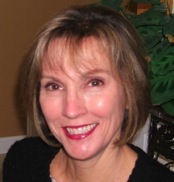 Brenda has twenty years experience conducting evaluations and providing speech language therapy to children in the Anne Arundel County Public Schools. She was a speech therapist at the Anne Arundel County Infants and Toddlers Program for ten years providing direct service to children. Brenda developed a parent training program and conducted workshops to help parents become active participants in their child’s speech and language development. She has conducted trainings for daycare providers, preschool teachers, and students attending Anne Arundel Community College. Currently, Brenda is in private practice, specializing in young children with oral motor dysfunction, articulation disorders, delayed language, and social communication difficulties. Anna Myers Sabatini M.F.A. is a children’s book illustrator and graphic designer, with a particular interest in books with a multicultural focus and books for children with special needs. She feels blessed to have Christine Ambrose as an aunt Dylan as a cousin. In 2005 she finished her BA in Drawing, Painting and Printmaking at Bard College at Simon’s Rock, then went on to earn her MFA in Illustration at Western Connecticut State University. See samples of Anna’s work at anna-myers.com.